Description: This stopper goes to the bottle that was designed for Mitsouko, but the same bottle housed many of the Guerlain fragrances. 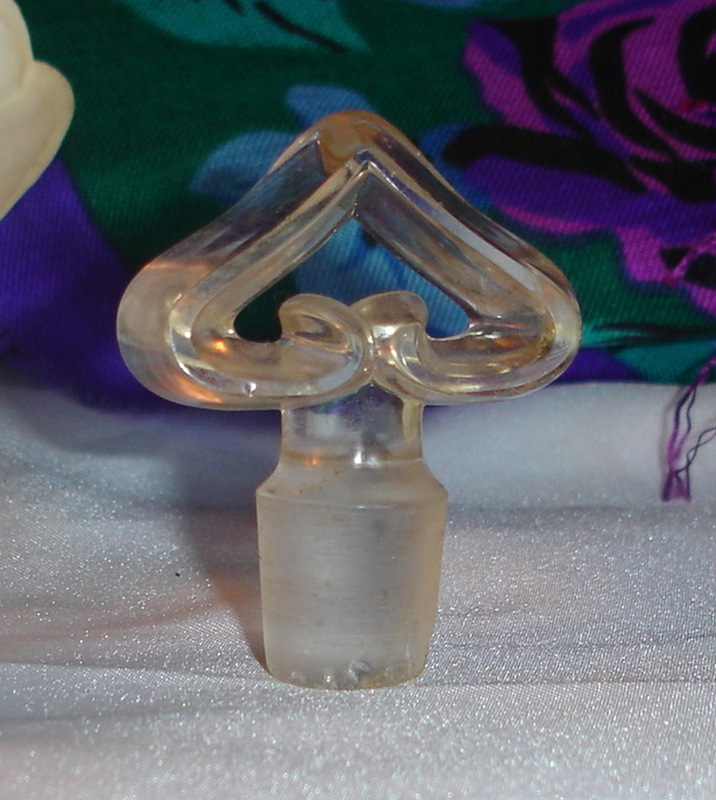 This stopper stands 2 1/4" tall and is most likely for the 2 oz bottle. 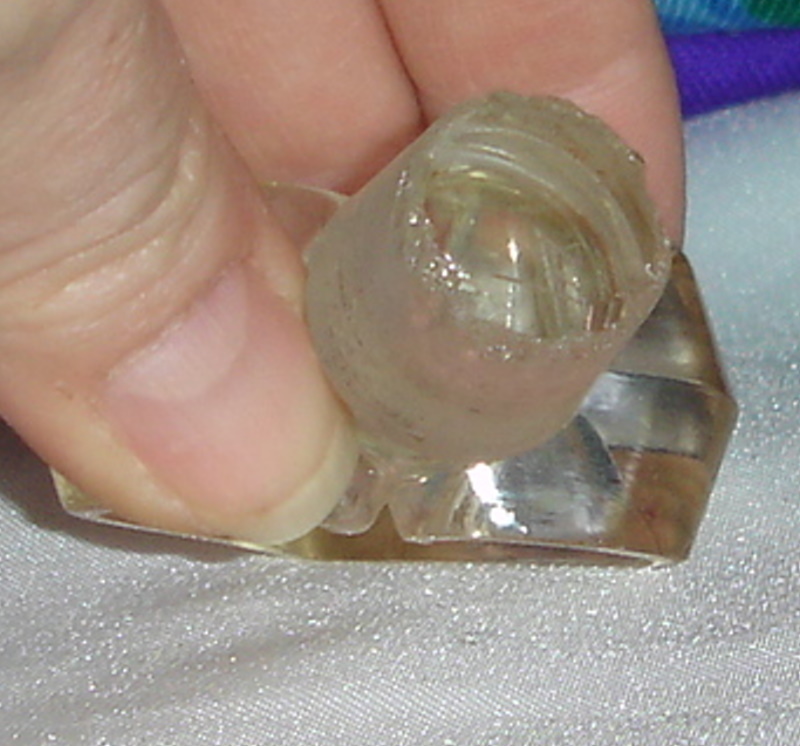 The end of the stopper that goes into the bottle is 5/8" across and has many minor chips to the end of the stopper, nothing too serious.